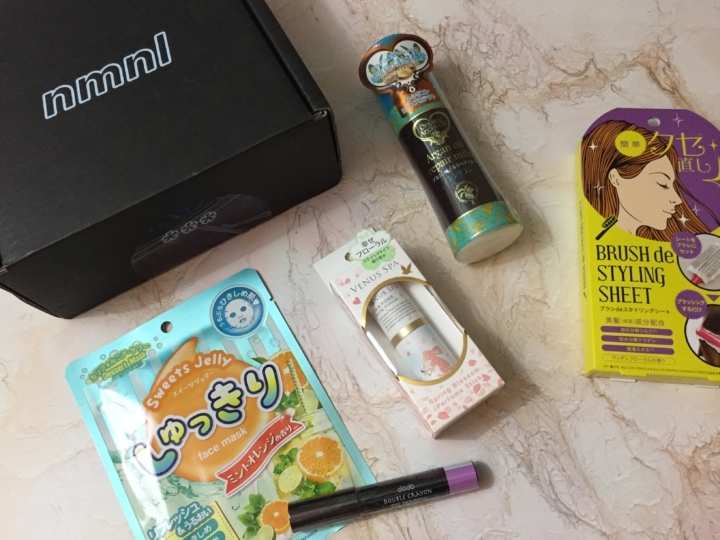 nmnl is a monthly Japanese beauty subscription box by the brains behind Tokyo Treat and Yume Twins. They promise to deliver a Japanese beauty experience curated by people familiar with the current trends in Japan. 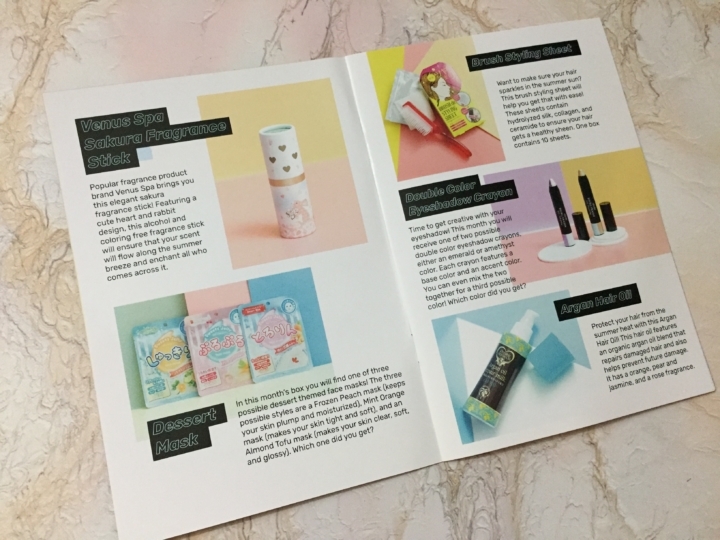 The information booklet has information about the products. The booklet has gotten much more in-depth lately, but I still am hoping they begin to include English ingredient lists for the makeup and skincare products. 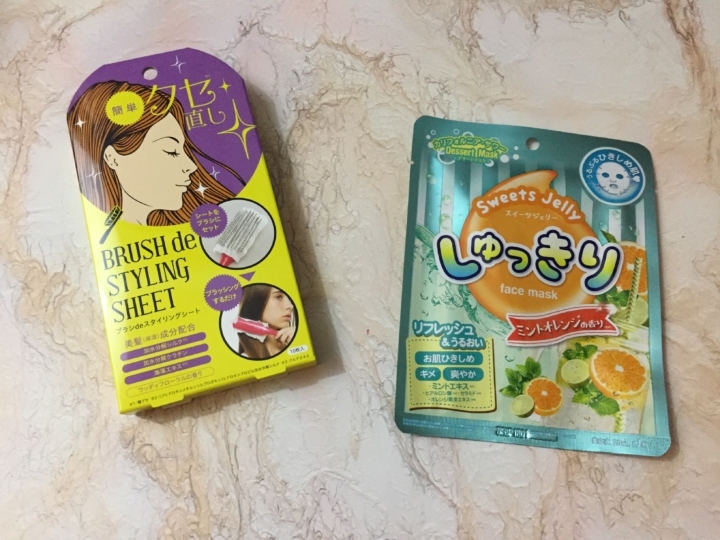 Hair Styling Sheets — nmnl sent hair sheets in June and I loved how well they worked. This kind has tons of tiny holes on it to let oyu stretch the sheet over your brush’s bristles, and then easily tame frizzy hair. Sweets Jelly Mask — A dessert-style sheet mask. There were a few variations scent out and this one is the Frozen Peach one, which will help keep skin plump and hydrated. 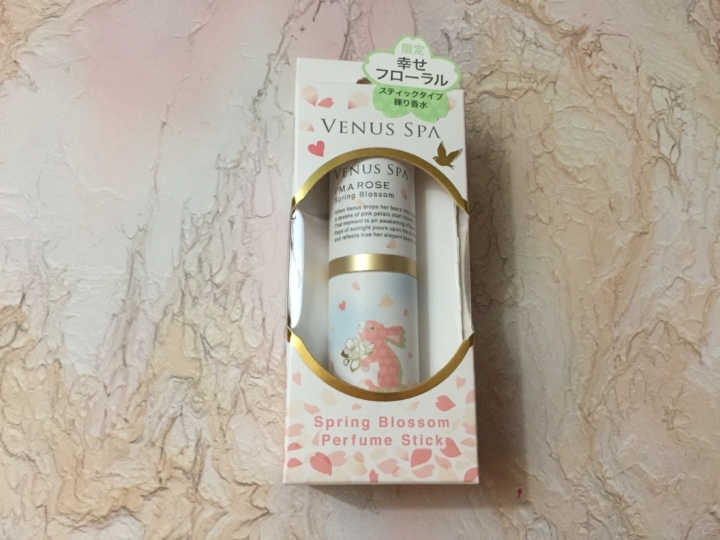 Venus Spa Perfume Stick ($13.54) — Venus Spa is a popular fragrance company that does hair products as well as perfumes. We were sent their Sailor Moon hair fragrances a few months ago, which I loved. This is one of their alcohol-free perfume sticks. I couldn’t find this exact scent, but I think it might be from the Spring 2018 collection (the Summer collection is out now and what I found on their website). This is a very youthful scent and the packaging is just adorable. Argan Oil Hair Milk ($8.84) — I was surprised to find this hair milk is a Kurobara (Black Rose) product, as I love their tsubaki (camelia) hair oil product and used it in the past frequently. My hair loves argan oil because it’s so light, so I’m really excited to add this to my hair care regimen. 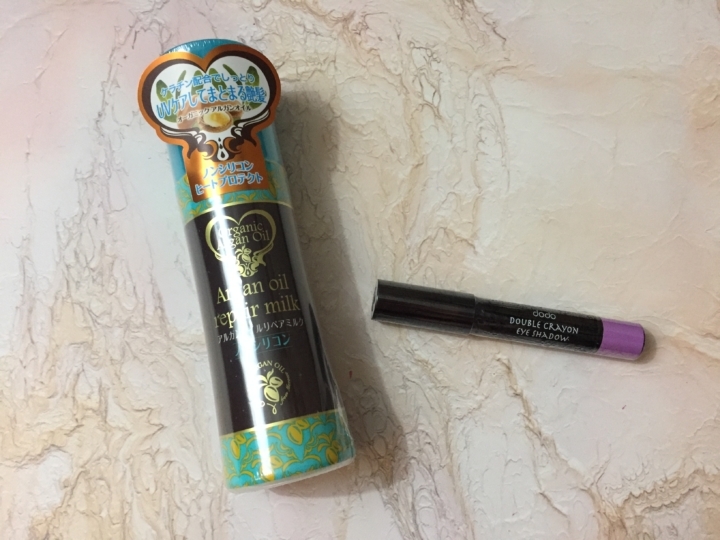 Dado Double Crayon Eye Shadow — Eeeeep. I’m not sure about you, but purple is just a bit too much of a crazy colour for me. But this is a very, very summery colour. I like the idea of a crayon type eyeshadow since it will work well with the hot summer weather, but I wish they had sent me a more neutral (boring, hah!) colour. 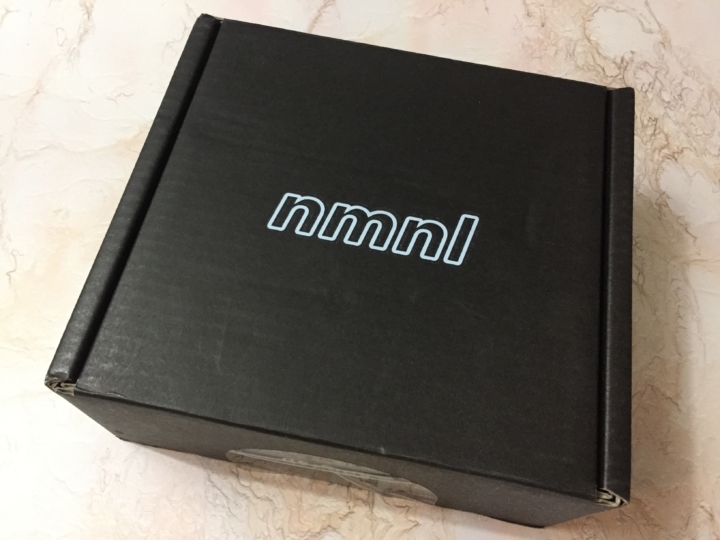 nmnl is really making improvements and it’s been noticeable over the last few months. I think this month was a great mix of items, and I’m super pleased with the hair products and the perfume.